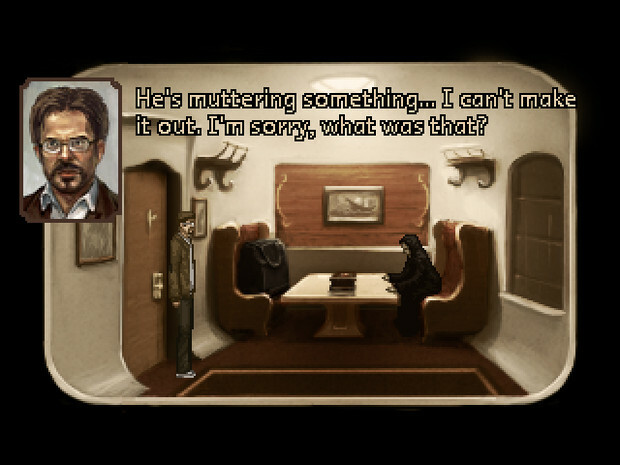 Sepulchre is a short point-and-click indie game in which you play an academic who wakes up on a train not really having a clear idea of what's going on. You explore your immediate environment and a story quickly begins to unfold before you. I'm in a room. I've just finished reading a book. The game feels sort of weird, sort of eerie and already the name of the game is unsettling me. I look around a little, I try to click on things. The scenery doesn't really seem to do anything but I find a bag on the floor and some things in there. I explore the corridor some, all the doors have 1's on them and aside from the middle door (my room) they're all locked. I move through the corridor to a new corridor. The door to the restaurant is closed but the last but one isn't. 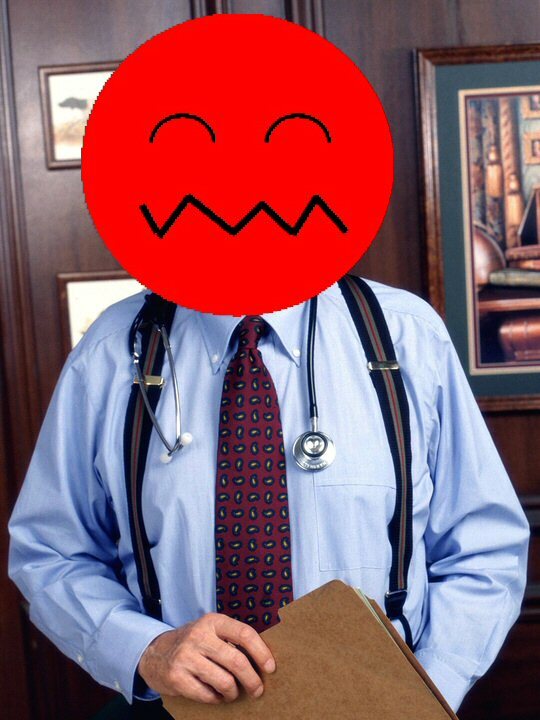 There's an odd man in there, he doesn't seem to be able to speak but just mutters. 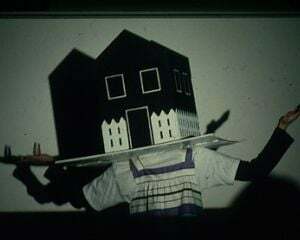 Much of the rest of my experience is a constant back and forth between rooms as new clues pop up, I'm enjoying myself but there's an increasing sense of being unsettled by the story that's unfolding before me. 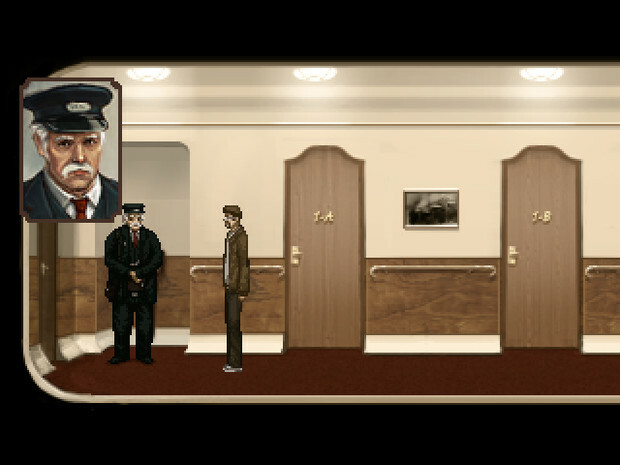 The scenery, the backgrounds, even the rooms seem to all be clues as to my unfortunate fate. I found the ending abrupt but satisfying given how the story played out. 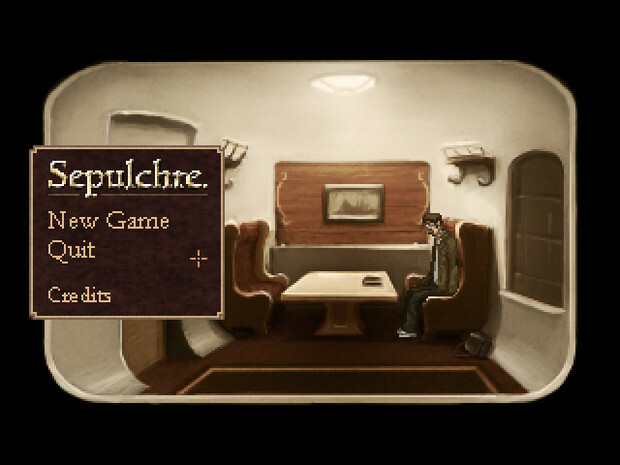 I really like Sepulchre, it is relatively short but what you get is a very concise and entertaining narrative-heavy experience. Personally I guessed where things were headed pretty early on but nonetheless I found the way the story was weaved, between the simple series of actions you have to perform to move events forward, quite nice. I don't think length should count against Sepulchre really, because the length is appropriate for the kind of story its telling. I definitely think the story could have lasted a bit longer, I've read it's about 15 minutes long but it felt more like 30 to me, I didn't really check the clock though. 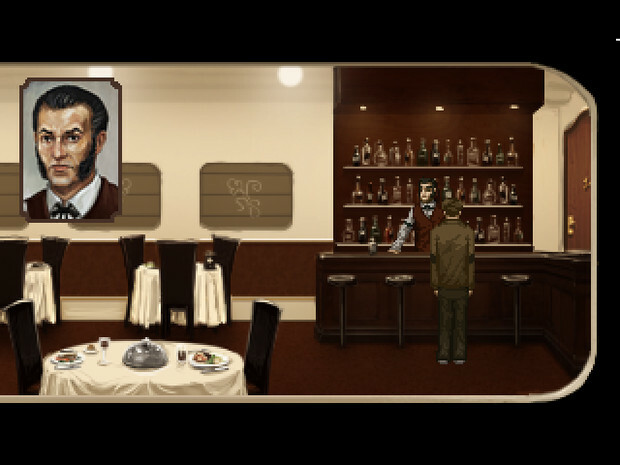 Regardless Sepulchre is a well-made, well-written short but enjoyable piece of free point and click gaming.